I love Andrew Sullivan‘s View From My Window feature on his blog. So why not copy it occasionally? 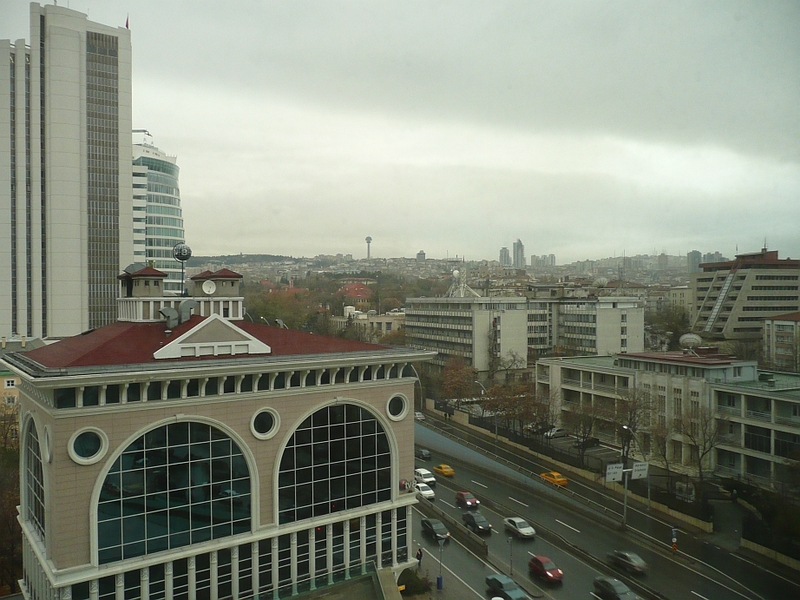 There’s nothing particularly lovely about Ankara, Turkey’s capital and a city of over 4 million. But I’m involved in a fascinating project here — equal parts economic development and sustainability — which I might be able to write about at some point. 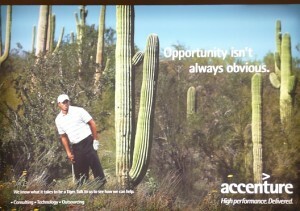 In case you can’t read it, the copy reads: “Opportunity isn’t always obvious.” Today’s New York Times has a good article on the reddened faces at Accenture. This entry was posted in Uncategorized on December 16, 2009 by lance. 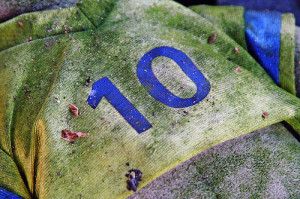 Well, I missed my 10th blogoversary by one day. But then, I’ve been missing a lot of events here on Davos Newbies recently. It isn’t that I’ve lost the blogging urge, it’s just that all of my blogging energy is being consumed by Berkeleyside. And I’ve had a fair chunk of paying work that needs attention as well in the last couple of months (which is a good thing). I will, I promise, get back to occasional updates here. 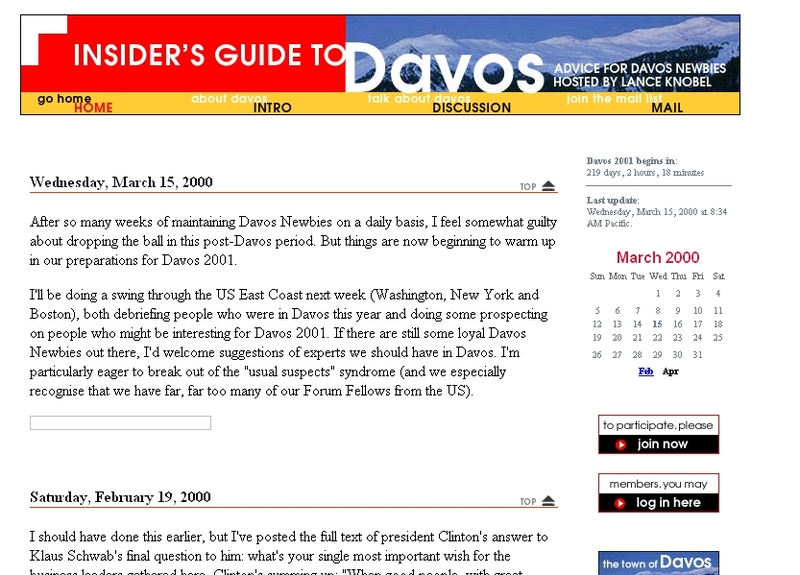 The first Davos Newbies post — a kind of Hello World — was on December 12, 1999. I didn’t really get motoring until January 3, 2000, when the run-up to that year’s Davos was ramping up. I then didn’t miss a day of posting until February 5. I think that spate of posts, which was conference liveblogging avant la lettre, stands up pretty well. The Internet Archive didn’t catch up with Davos Newbies until June 2000, but that does mean the original look — thanks Garret! — is preserved in aspic. I’ve thanked Dave Winer many times for both pioneering blogging and for encouraging Davos Newbies from my first encounter with him. I’m still hugely grateful for that, even if we decided to take separate paths in our Berkeley hyperlocal efforts. This entry was posted in Uncategorized on December 13, 2009 by lance.